Greg MacAvoy – Singer & Music Teacher at local School. Estranged from wife over alleged affair with student. Tess MacAvoy – Wife of Greg MacAvory. Troubled marriage, and some secrets that have yet to be revealed. Chief Eddie Kapenash – Nantucket Police Chief. Investigator of Tess and Greg’s Deaths. Andrea Kapenash – Wife to Chief. Cousin to Tess, and in some respects a sister and mother. Addison Wheeler -Wealthy owner of local realty company. He has some secrets of his own that will be revealed through the story. Phoebe Wheeler – Wife to Addison. A Twin whose brother died in the 9/11 attacks. She has never gotten over his death, and lives under a constant haze of alchohol and medication. Jeffrey Drake – Farmer. Former love of Andrea before she married The Chief. Married to Deliliah Drake. Delilah Drake – Greg’s Party Buddy, they’d often hang together at a local bar, until the wee hours of the morning. April Peck – Student of Greg’s. Accuses him of affair that nearly wrecks his marriage. Greg and Tess MacAvoy are celebrating their 12th anniversary. They decide to go out on a boat to have a romantic evening alone. Somehow during this voyage, the boat capsizes, and they are both drowned. Their 6 friends are left behind to uncover what happened. This book reminded me a lot of The Big Chill. A large group of friends, trying to find the answers to why two of their friends were killed, and what was going on in their last days. There are many secrets that are unveiled throughout the book. Secrets that involve many, sometimes all of the friends. In many ways, it also had that soap opera storyline quality about it. 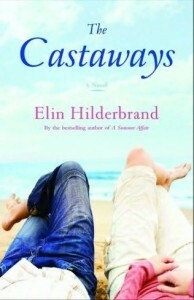 If you are into relationship stories, or books that reveal secrets within families, then you’d probably like this book. It did keep me interested in finding out what all the unknown questions were. I’d recommend it as a good summer book, or a good take to the beach book. *Disclaimer* A special thanks goes out to Valerie at Hachette Book Group for a review copy of this book. This entry was posted on Thursday, July 15th, 2010 at 10:23 am	and is filed under Fiction. You can follow any responses to this entry through the RSS 2.0 feed. You can leave a response, or trackback from your own site.